"He asked me if I wanted out. I said yeah, do what it takes to get me out." Jamie Beck shared her story about how she ended up living in a nursing home shortly after graduating from high school. She says her father's stage four cancer led to her placement there. After trying to make the best of a bad situation, Jamie spoke up and told her guardian she wanted out. Today Jamie lives in a home and works part-time in the community. She was interviewed in Indianapolis in 2016. 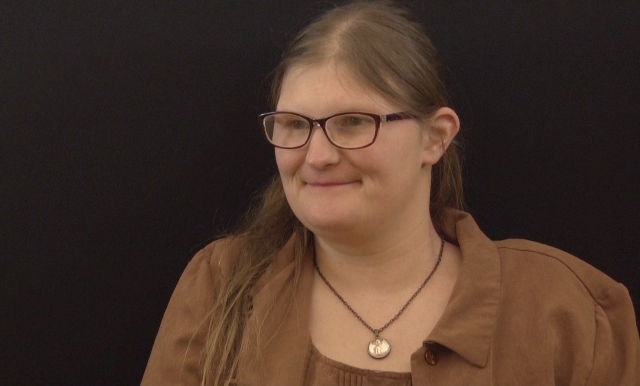 "Jamie Beck - From High School to a Nursing Home" YouTube video, 00:05:37, interview excerpt 085-mi by the Indiana Disability History Project, posted by "Indiana Disability History" on February 7, 2017, https://youtu.be/mO-5nPns7zY.